(Islamabad, Feb18, 2019): India has not informed Pakistan that it was withdrawing the Most Favoured Nation (MFN) status to it, a senior Pakistani official said Sunday, after New Delhi took strong economic action against Islamabad following the Pulwama terror attack. 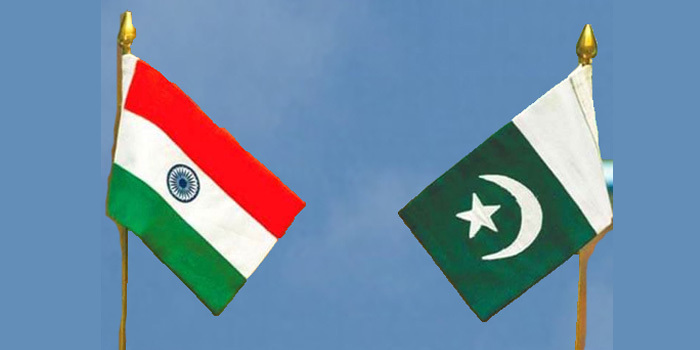 India on Friday announced the withdrawal of the MFN status for Pakistan, following the deadly terror attack on CRPF personnel in Pulwama in Jammu and Kashmir, and hiked the customs duty by 200 per cent on goods originating from Pakistan with immediate effect on Saturday. Two days after India made the announcement, Adviser to Prime Minister Imran Khan on Commerce Abdul Razak Dawood said New Delhi has not informed Islamabad about withdrawing Pakistan''s MFN status, Geo News reported. Dawood said, "We are looking into the withdrawal of the MFN status by India. We can speak to India about this issue". He further said Pakistan can raise this issue at different forums including the World Trade Organisation (WETO) as both countries are members of the global trade body. India granted the MFN status to Pakistan way back in 1996, but Islamabad has not reciprocated. Under the MFN pact, a WTO member country is obliged to treat the other trading nation in a non-discriminatory manner, especially with regard to customs duty and other levies. India''s decision would significantly hit Pakistan''s exports to India, which stood at USD 488.5 million (around Rs 3,482.3 crore) in 2017-18 as it would drastically increase the prices of its goods. "India has withdrawn the MFN status to Pakistan after the Pulwama incident. Upon withdrawal, basic customs duty on all goods exported from Pakistan to India has been raised to 200 per cent with immediate effect," Finance Minister Arun Jaitley said in a tweet on Saturday. The two main items imported from Pakistan are fruits and cement, on which the current customs duty is 30-50 per cent and 7.5 per cent, respectively. Slapping an import duty of 200 per cent effectively means almost banning the imports from Pakistan, official sources said in New Delhi. Items which Pakistan exports to India include fresh fruits, cement, petroleum products, bulk minerals and ores, finished leather, processed minerals, inorganic chemicals, cotton raw, spices, wool, rubber product, alcoholic beverages, medical instruments, marine goods, plastic, dyes and sport goods. The total India-Pakistan trade has increased marginally to USD 2.41 billion in 2017-18 as against USD 2.27 billion in 2016-17. India imported goods worth USD 488.5 million in 2017-18 and exported goods worth USD 1.92 billion. During April-October 2018-19, India''s exports to Pakistan stood at USD 1.18 billion, while imports were USD 338.66 billion. India mainly exports raw cotton, cotton yarn, chemicals, plastics, manmade yarn and dyes to Pakistan. At least 40 CRPF personnel were killed and five injured on Thursday in one of the deadliest terror attacks in Jammu and Kashmir when a Jaish-e-Mohammad suicide bomber rammed a vehicle with explosives into their bus in Pulwama district.